Take our free “Fear of” Quiz to uncover your roadblocks. Sure, we all experience tough breaks in life, some worse than others. At the same time, there are other instances in life where our actions – or inactions – contribute to negative outcomes. In order to move forward, stop blaming others and take ownership of your mistakes. Set aside time to do a little soul searching, contemplate how you could have tackled situations differently and learn from the past. If you want to change your life, don’t wait for life to happen. YOU have to drive that change, not somebody else. For example, if getting fit is your goal, you need to start moving, increase the intensity of your workouts over time and exercise on a regular basis. The same holds true if you want to jumpstart your career. 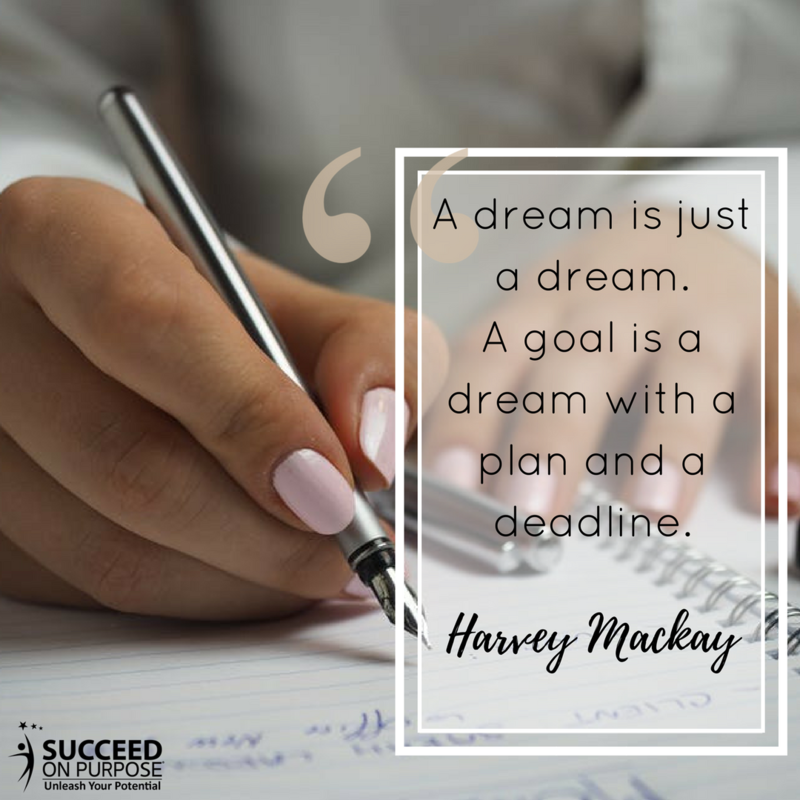 Research opportunities that inspire you, have conversations with thought leaders in those industries, then keep taking the steps necessary to make your dreams come true. Figure out what’s holding you back. To fuel positive momentum in your life and career, it’s essential to figure out what’s standing in your way. That “what” is often a fear that’s been brewing for a long time and ultimately becomes a barrier to your success. . Need help overcoming your fears? Find your path to freedom with our PROVEN Pure Confidence program! Commit to doing the work necessary. Change is hard, but it’s worth powering through. 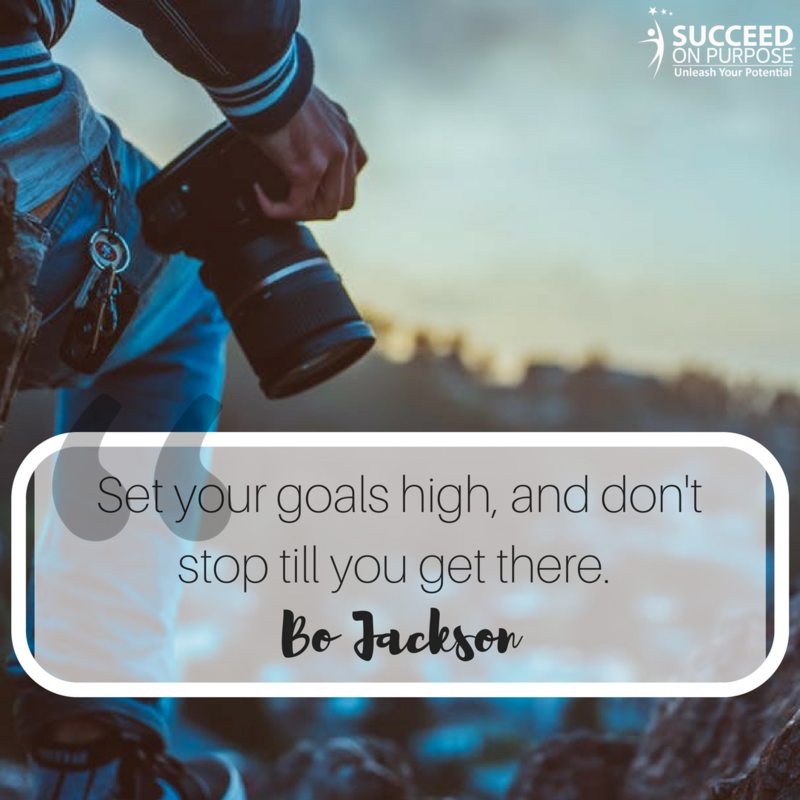 Propel your success by gearing up for the challenges ahead and setting aside time for any coursework, coaching, interning, volunteering, studying or networking you need to achieve your goals. If you’re seeking a meaningful life and career, the sooner you find your life’s purpose, the better. As Succeed On Purpose CEO Terri Maxwell said in her recent post – Be Who You Are, Do What You Love – finding your purpose and identifying your purpose statement is “the first step to taking that breath of freedom and to start becoming who you want to be.” If you need help identifying your purpose statement and career persona, check out our Discovery Program. Set specific goals and stick to them. What steps do you need to take to reach your end goal? Identify each step and schedule time to achieve them to keep positive momentum rolling. The research mentioned earlier in this post will help you narrow down the best steps for your journey. Push yourself beyond your comfort zone. A personal trainer recently told me he always pushes his clients to go for one extra rep, hit that faster speed, grab a heavier weight and dig a little deeper than they thought they ever could. This theory holds true for anyone seeking bigger, better things in life. Keep digging deeper my friends. Even if you know where you want to go, it’s OK if you don’t know how to get there. What you DO need to do is seek advice from people who can help you develop a plan to reach your goals. When I was a burgeoning solopreneur, I reached out to mentors, business coaches and successful entrepreneurs for career advice. They helped me set goals and move forward on the right path.